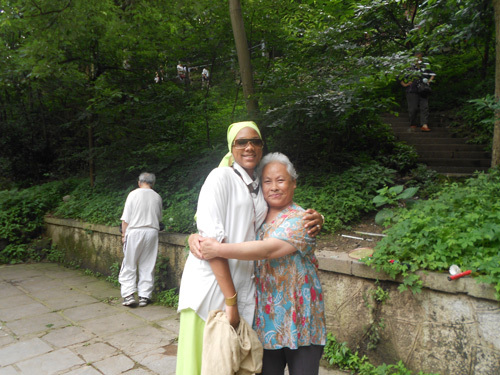 Brother Jesse Blog: Photos: Muhammad University Graduate Ga'Brielle Muhammad spends her summer in China! 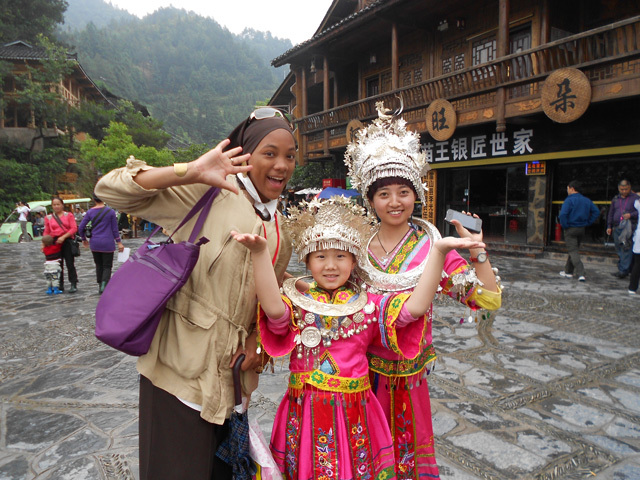 Photos: Muhammad University Graduate Ga'Brielle Muhammad spends her summer in China! 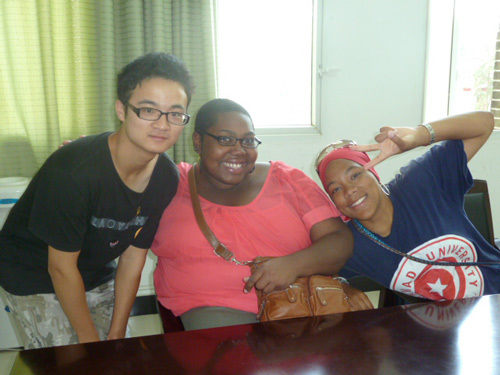 Sister GaBrielle Muhammad, a MUI Graduate (2011) spent her summer at Guizhou University (Huaxi District) in Guiyang City, China participating in the Southern University Global Sustainability Initiative DOE/ORNL Mentor Protégé Program Summer Research Experience. Sister Ga'Brielle, 20, is a junior double major in Physics and Secondary Education in Physics and a minor in Foreign Language at Southern University and A&M College in Baton Rouge, LA. . Her summer research project was on Integrated Technologies and its contribution in the reduction of energy usage. She plans to pursue graduate studies in Astronomy and Linguistics. One of Sister Ga'Brielle's goals is to travel to all of the continents by 30 years old and to speak at least 9 languages fluently as she is inspired by Master Fard Muhammad upon His coming in 1930. 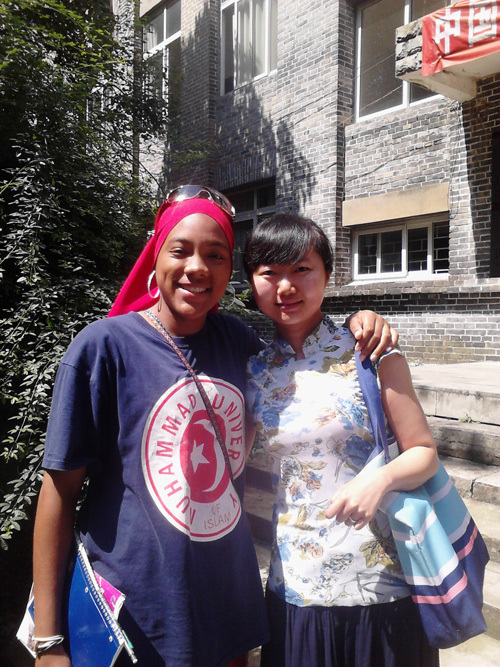 To date, she has studied Arabic for five years (2 years on a collegiate level), French, Spanish and Chinese. 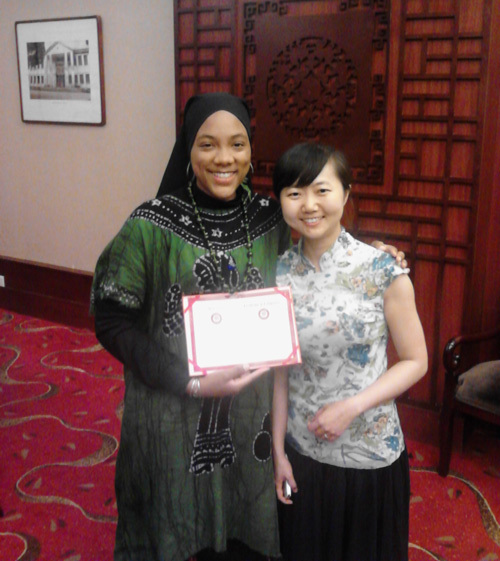 "The most valuable lesson that I have learned, as a result of my travels to China, was that my Islam as taught by The Most Honorable Elijah Muhammad, can take me anywhere. Of all of my fellow students, I excelled in my courses including Chinese where I made an "A" in the class while most others struggled. I am not saying that because I believe myself to be better but I attribute that to being a follower of the Most Honorable Elijah Muhammad under the guidance of the Honorable Minister Louis Farrakhan and a Member of the Nation of Islam. My rearing and training as a Muslim in the Nation of Islam is the most valuable education that I or anyone else could have," Sister Ga'Brielle said. The students who participated in this summer experience received course credit for two classes, one in Chinese and the other in Sustainability. 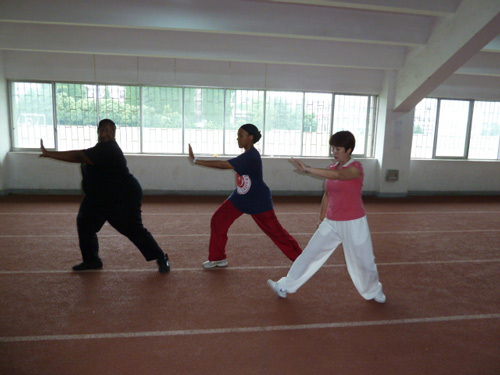 They also took Tai Chi, Chinese calligraphy and went on several excursions around the city. "Ga'Brielle has proven herself to be an exemplary MGT and extraordinarily strong Muslim," Sister Deborah L. Muhammad, her mother, said. "I had every confidence in the Allah in her that she would be the Muslim that her father and I raised her to be and my beliefs where confirm when she returned home. Two of the other students told me exactly what I knew of her. One young man said that Ga'Brielle is the strongest, 19 year old he has ever met. She never let anyone influence her to do anything against her religion. And another young lady told me that because of how Ga'Brielle carried herself as a Muslim and her firm belief in what she believes, she wanted to learn more about her (Gabby's) family and religion. As a parent, the greatest of all rewards in this life is to see the seeds of righteous that we help to planet, water and nourish in our children take root and bear fruit. All praise is due to Allah!" she continued. Sister Ga'Brielle is the current president of the Southern University and A&M College chapter of N.O.I.S.A and serves as a Student Officer in the local M.G.T.& G.C.C. class as well as the M.G.T. Vanguard Point of Contact and Drill Instructor. "The key to success in life is knowing what is most important and prioritizing your life. Islam is first and everything else runs a distant second," Ga'Brielle commented. 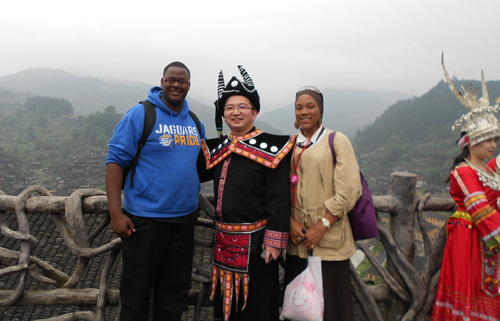 "Although I do well academically in college, nothing compares to the education that I received at Muhammad University. I only wish that I could attend MUI at the collegiate level. There is no comparison with the education of this world and The Supreme Wisdom of Master Fard Muhammad. The Lessons of Master Fard Muhammad cover the entire of human thought," she said. "My mom and I engage in some of the most deep and profound conversations about the Teachings and before you know it, we have talked about, investigated, uncovered and really learned the deepest meanings of every subject I have ever taken in college. It is something about viewing the world through the lens of The Supreme Wisdom Lessons and the Teachings of the Most Honorable Elijah Muhammad that education in the H.D. LOL! I love to learn, but I really don't like the education system of this world," she reflected. Ga'Brielle currently has a 3.550 GPA and is a LS LAMP scholarship recipient, Timbuktu Academy Scholar and a Physics department scholarship recipient.